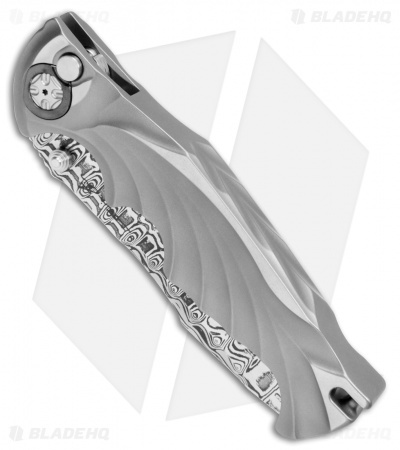 This custom Tighe Breaker automatic features an integral, single piece fluted titanium handle with a bead blasted finish, zirconium pivot collars, and a zirconium pocket clip. 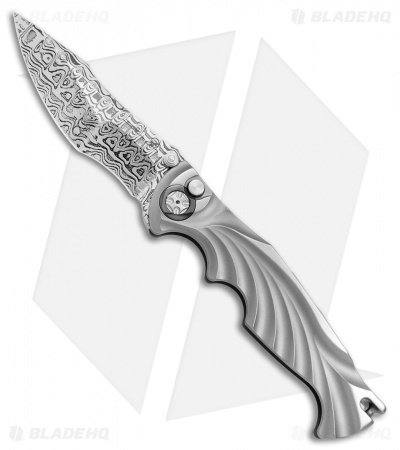 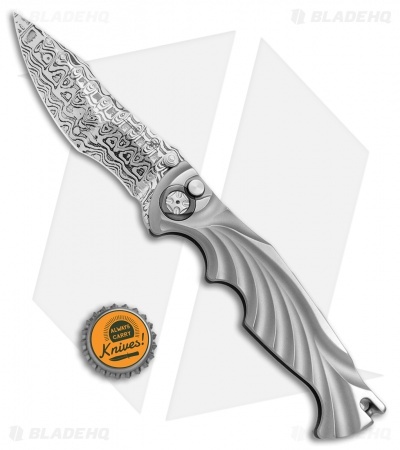 It sports a Damasteel recurve blade with a compound grind. 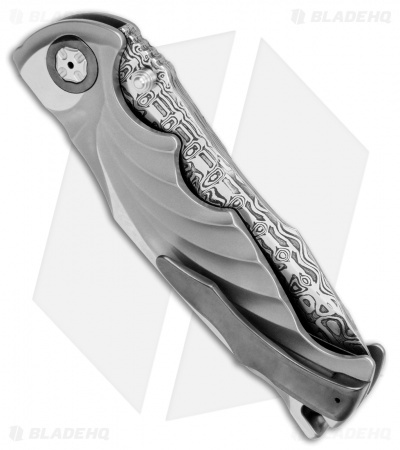 An automatic opener with push button release provides rapid blade deployment. This automatic knife is yet another example of Brian Tighe's superb work.